GoAir's flight ticket offer: GoAir's new offer comes amid high competition in the country's civil aviation sector. GoAir recently introduced direct daily connectivity to Phuket from Mumbai, Delhi and Bengaluru. Budget airline GoAir announced new international flight connections at a starting all-inclusive price of Rs 4,999. 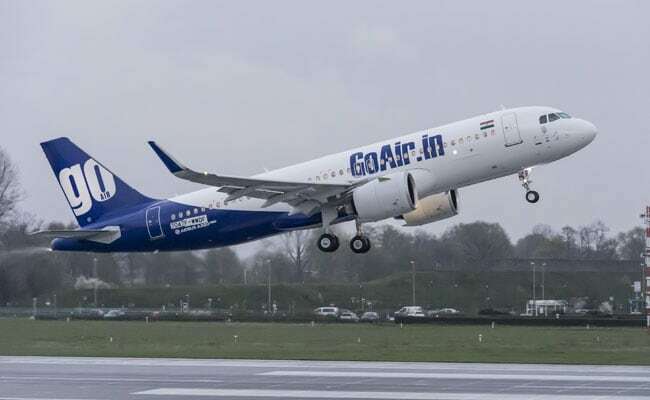 The direct weekly flights introduced by the carrier, will operate between Kannur in Kerala and Muscat, starting from February 28, 2019, noted the carrier on its official website- goair.in. Bookings for the flights are open with immediate effect, the airline said in a statement. GoAir's new offer comes amid high competition in the country's civil aviation sector, boosted by robust growth in passenger traffic registered over past few months. "GoAir that has recently commenced domestic operations out of Kannur is proud to announce Muscat as its third international destination and 27th overall destination," the airline said in a statement. "GoAir will operate three direct flight services per week between Kannur-Muscat-Kannur and bookings are now open at an attractive all-inclusive one way fare starting from Rs 4,999," it said. GoAir recently also introduced direct daily connectivity to Phuket from Mumbai, Delhi and Bengaluru. It also operates four direct weekly flights on the Mumbai-Male route, three weekly flights on Delhi-Male and two weekly flights on Bengaluru-Male route. Meanwhile, rival Jet Airways has come up with a discount offer on international flight tickets. The airline is offering up to 30 per cent discount in economy section and up to 20 per cent discount on base fare in premiere section from India to select destinations in Europe such as Amsterdam, Paris, Zurich, said the airline on its official website -- jetairways.com. The discount offer is valid till January 19, 2019.